Wet out tables from HammerHead® Trenchless are designed to provide you with precise and consistent wet outs ensuring the highest quality installed liner. Variable speed and pressure controls along with forward and reverse operations make liner wet out easier, faster, and more accurate. Designed for 2-inch to 12-inch diameter liners, with a pneumatically controlled calibration system. Rollers are raised and lowered pneumatically to a preset gap gauge for faster operation. A simple switch instantly raises or lowers rollers, rather than manually setting the gap by hand-cranking. This pneumatic approach is more accurate, with less chance for human error while setting gaps. 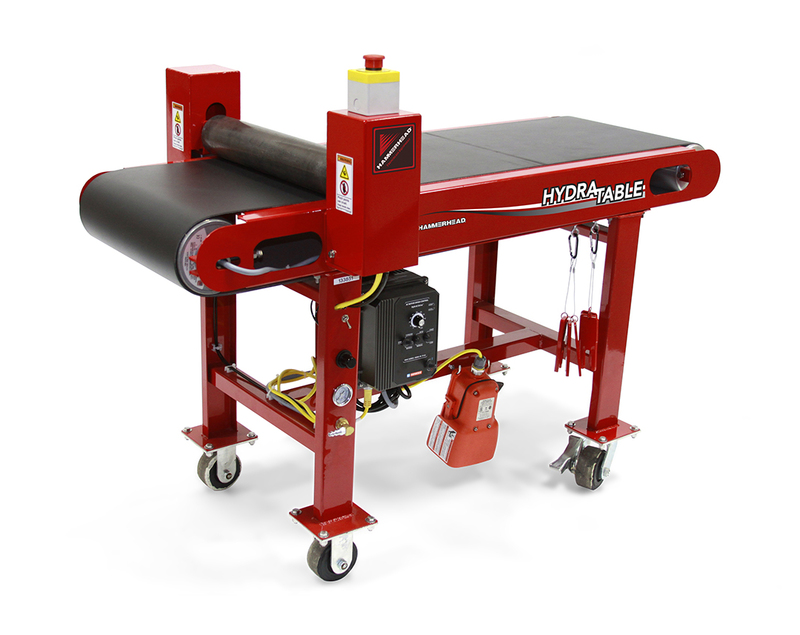 A roller bed attachment option is also available.